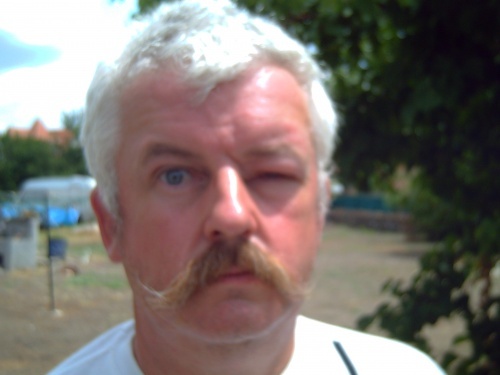 John and Julie Turner are a British couple who moved to a Bulgarian village looking for a quiet life but instead they have been constantly tormented and attacked by swarms of angry bees. After contacting the local authorities regarding their neighbor's bee farm in the Elhovo village of Boyanovo they have received little attention and have come to the point where they are ready to pack up and leave in the unlikely event that someone agrees to buy their property. Julie told Novinite.com of the torment that the bees have caused the couple and their elderly Bulgarian neighbors; "It's almost impossible to walk around the garden, hang out washing to dry or even walk to the car without getting pestered or even stung,our dogs have been stung, visitors have been stung, we can't have BBQ's, friends find it too much to be pestered by the bees so we rarely sit in the garden & we no longer use the double gates next to the hives it's just not worth it so they have been blocked up. Imagine the noise when you have almost 80 hives - the 'drone' noise from the bees is very intimidating." Novinite.com contacted the local authorities regarding the problem and are still waiting for a reply. Julie informs us that she contacted the local Elhovo municipality in July and also the local department of the Agriculture Ministry, but her calls have fallen on deaf ears. "From the lack of help we have experienced we would next be advised to go to court, but please ask yourselves this honestly if I was British would I even bother spending more money to get this to court if the local Mayor cannot and the local Councils will not help?" Julie continued. Julie has asked her neighbor to move some of the bee hives elsewhere but he has taken no action and loopholes in local legislation seem to allow him to keep his huge number of bees in the residential area. "This matter has caused so much stress and made life so unpleasant that we actually asked about selling the house to buy somewhere else- but noone will buy with that huge number of hives so close to the house, so we are stuck" Julie concluded. » Are Bulgarian Politicians Mainstreaming Anti-Migrant Sentiment?